Microwave ovens measure time in strange and wonderful ways: you can type in three minutes as 3:00— but also as 2:60! In this article, I explore the properties of this number system and its relationship to another numbering system, binary coded decimal (BCD). My friends and I have developed a useful strategy for working together. Social queues provide short one-way conversations that enable you to tell someone else that you'd like to talk to them, without interrupting their focus if they're working hard on a problem. By optimizing my walk home, I've discovered some beautiful graphs and an unexpected conclusion. In this essay, I argue that online surveillance endangers our basic freedoms; a direct solution should target exploitative organizations, not the people who built the free-of-charge, communal Internet. Game-playing strategies for card games with luck manipulation. This fixed-verse poetic form, invented in the 12th century, has beautiful hidden symmetry. I depict the symmetry several ways and generalize it, defining a family of new poetic forms. 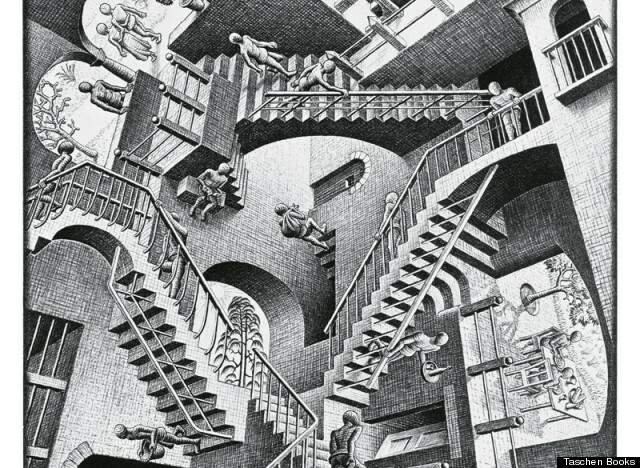 Ambiguous drawings like this Escher staircase or this elephant employ surfaces and lines that you interpret differently depending on where you're looking. I found a way to depict a four-dimensional Klein bottle using a similar ambiguous technique. Here, you can see the neck of the bottle bypass the inner surface without piercing it — an impossible feat in three dimensions. To solve a puzzle about a conversation, I converted the conversation into an interpretable program. When you describe a problem in this new puzzle-language, the resulting code looks like a natural language conversation and, when run, will find the solution. How would you experimentally determine the Pokémon type chart if you didn't already know the types and their interaction strengths? Solving a subletting problem with an elegant payment protocol. Drawing Celtic knots using platonic solids as the underlying shape. This script explains medical terms by breaking apart their etymological roots. It translates Latin-based jargon into familiar words that anyone can understand. I use a variety of conceptual, programming, and mathematical tools to investigate a card game puzzle. Parables about life and identity. Updates some Fridays. A collection of short essays outlining some moral issues concerning life and death and what we can do about them today. A cultivated collection of songs that are variously life-affirming, immortality-positive, futurist, and/or socially conscious. We nearly ran out of gas while driving between states! This usually means walking to the nearest gas station and back. In this article, I devise the optimal cooperative solution. This compound nomogram enables you to compute the concentration of a mixture of two solutions at different concentrations. A picture of the relations between complexity classes. As shown in the key, containment goes in the upward direction. Solid lines indicate equality; the axes are time/space, difficulty, and complementation; and the hardest problems for each class are written in blue. The Jewish law prohibiting mixtures of meat and milk has the same algebraic structure as the rules for which blood types are compatible donors. A search engine which searches itself. Reminiscent of Minsky's Ultimate Machine. Quantum measurement becomes easier to explain when you think of each measureable quantity as a coordinate system — which, in a precise way, is what an eigenbasis is. Converting genders and orientations into numbers allows you to estimate relationship compatibility using arithmetic. Also Kinsey Strings: Using pushpins and yarn to depict compatible attraction. By expressing human relationships in terms of relational algebra, I discover that monogamy is like unitarity, stepchildren and children-in-law are dual concepts, and your spouse could reasonably be called your self-in-law. I show how molecules can be represented as a kind of adjacency matrix. In particular, the properties of lewis structures (polar character of bonds, formal charges, etc.) can be read off as properties of the corresponding matrix. The null space's insight into balancing chemical equations. You can balance chemical equations automatically by calculating a basis for the null space of a “chemical composition” matrix. 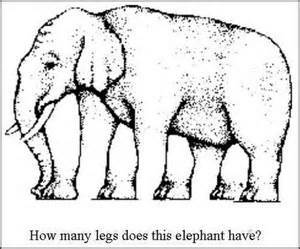 The method is useful because the calculations are automatic, because the method is always applicable, and because the null space reveals a wealth of useful detail about the space of possible answers. In this essay, I affirm the following view: All people are entitled to live a healthy, flourishing life, to determine in what ways they will grow old, and to decide how and when they will die. A just society should exert tremendous effort in promoting this entitlement to life, defending its citizens from aging or dying against their will, and respecting the choices that they make in this matter as sacrosanct. No society currently meets this standard. We will require new tools to bring about this human right, and undoubtably it will be costly — but the injustice of the alternative is clear and compelling, and emerging technology makes success an genuine possibility if we strive for it. The sun emits light of various frequencies which scatters in Earth's atmosphere, producing a lovely characteristic blue color. I took a table of blue sky spectral data and resized the visible frequencies (400-700 THz) into audible frequencies (around 400-700 Hz). This is the result — a chorus of blue. A few web resources collected to commemorate the brilliant, kind, redoubtable Marvin Minsky.